Do you have a younger student that is interested in chess but doesn’t know how to play? In this program designed for students from K-4th grade they are taken on a chess journey. Through interactive activities and engaging books you are taught the basics of how the pieces move, how to win the game, basic introduction to strategy, and given tips on other ways to keep improving and playing! This program is great for younger beginners! Click Here to look at this program in detail! 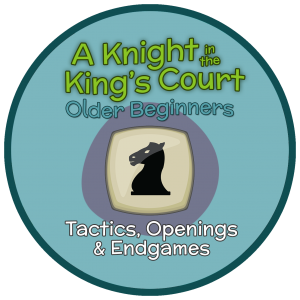 This program is designed to challenge older students who are new to the game of chess. 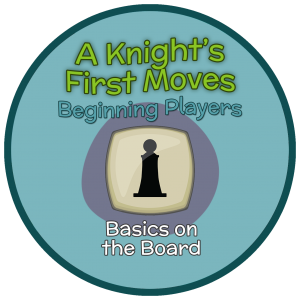 Through a variety of resources your student will learn all of the concepts taught in our “A Knight’s First Moves” program as well as much more. This program will use the spine “Mastering Basic Checkmate” resource to help the student master using different combinations of pieces to end the game. This will leave the student with a foundation of patterns that will be used for the rest of their learning. Along with that the older students will master more tactics and strategic ideas than our younger students. This program will challenge and engage our older students. Your student will learn the rules of the game and how to keep record of each game you play. Different websites are given to provide more opportunities for your student to play chess against others and also learn about the rich history of the game. The educational benefits of chess are widely accepted and are vast! Chess is a great way to improve concentration, problem-solving skills, critical thinking skills, teamwork and patience. All of these are essential to a successful education and a successful life. Chess is an enjoyable game to play and an educationally enriching experience!